It will record witnesses’ statements on Monday. The MQM founder, who is a British national and is currently living in London, is accused of expressing anti-Pakistan sentiments during a telephonic speech on August 22, 2016. 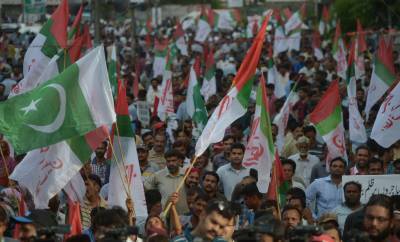 The speech was broadcast in Karachi by leaders of the MQM . The Sindh police chief was sent a letter informing him about the police team’s arrival on April 6. A team of the Metropolitan Police’s SO15 Counter Terrorism Command will be interrogating six witnesses in the case and has summoned them on Monday. All six witnesses are from the Sindh police and the police chief has been directed to ensure their presence before the team.